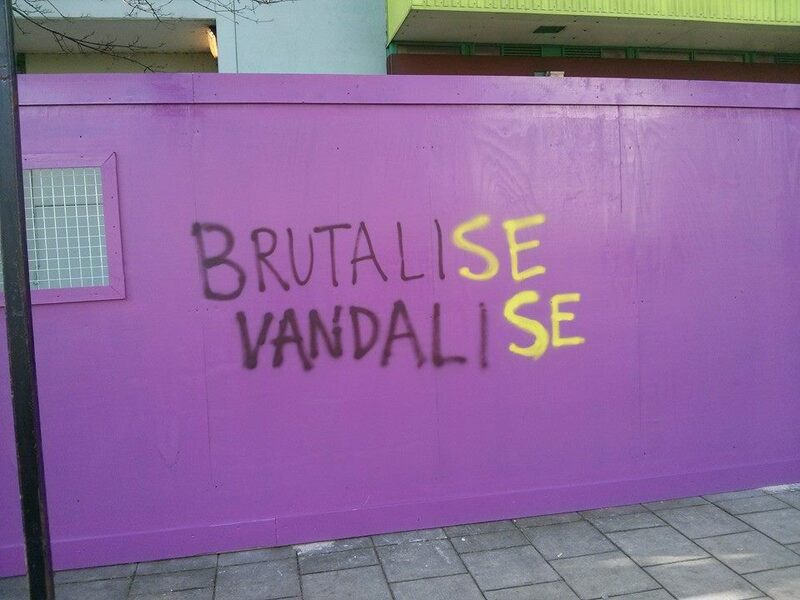 squat | Southwark Notes - whose regeneration? 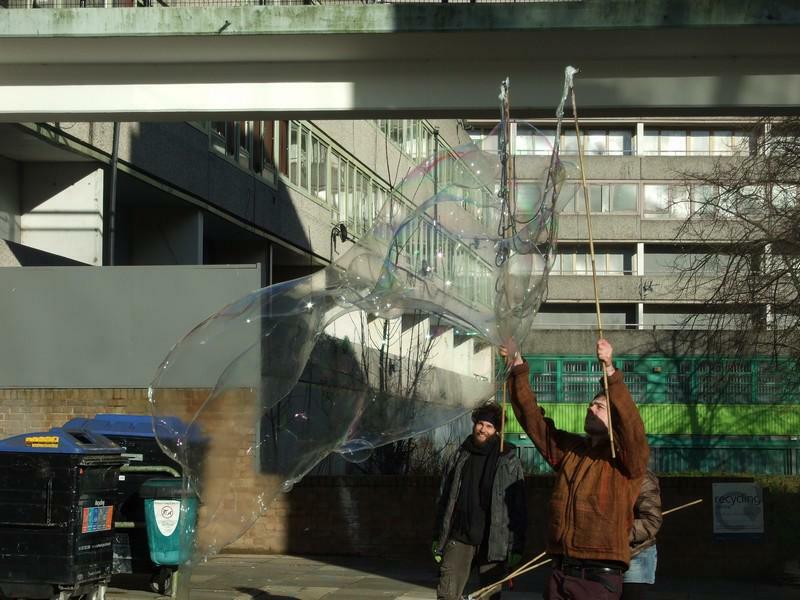 Before the decanting, displacement of residents and final demolition of the Heygate Estate, there were other total demolitions of London council estates but it was the Heygate and all the work local people did on publicising what was going on there that made ‘Heygate’ the well-known byword for regeneration, gentrification and social cleansing. The most well known fact about the ‘regeneration’ of the Heygate is that were as once there were 1000+ council rented homes, only 79 new equivalent social rented homes will be built on the new scheme. 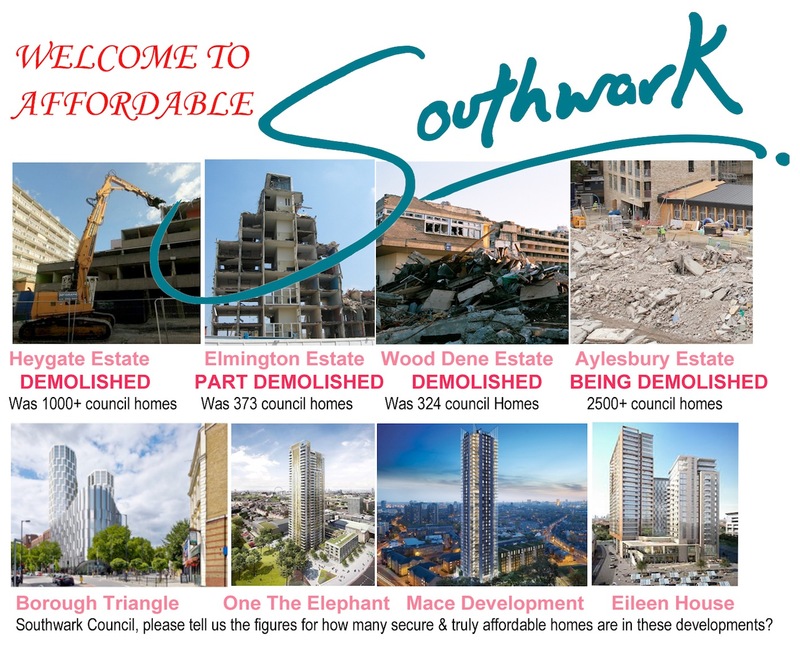 Despite Southwark Council’s claims that it has ‘learnt from the mistakes’ and that ‘Aylesbury Estate won’t be another Heygate’, the massive Aylesbury Estate in Walworth is another further testing ground for what can be gotten away with in the name of ‘regeneration’. The only difference is that instead of the Council’s partner developer being an international development corporation (Lend Lease at Heygate), at Aylesbury the choice is mostly the housing association Notting Hill Housing Trust (NHHT). 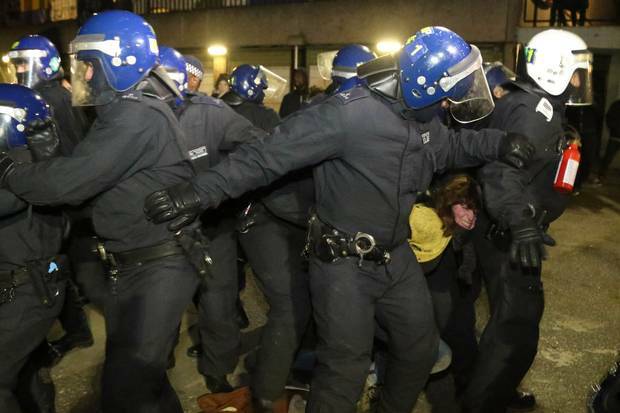 Since January 31st there has been the ongoing protest Occupation of different blocks on Aylesbury at different times. 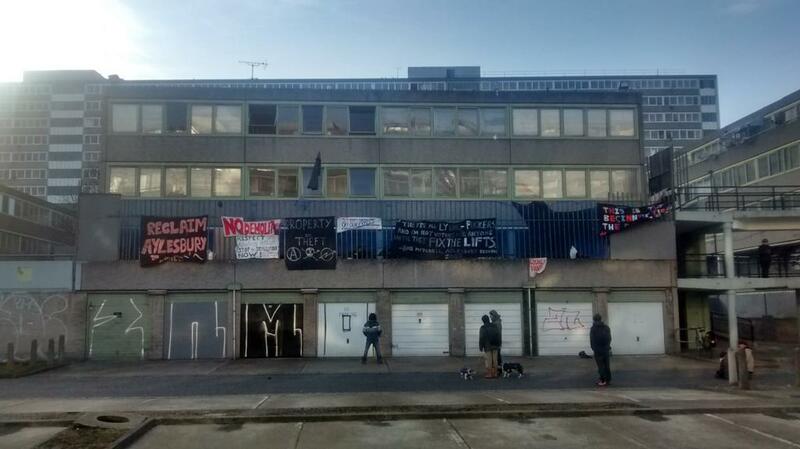 This has been both amazing in itself as a principled act of solidarity that has given long-term campaigners on Aylesbury a big boost and also because the Occupiers stress that these squat actions are about direct action to house themselves in the midst of the housing crisis. 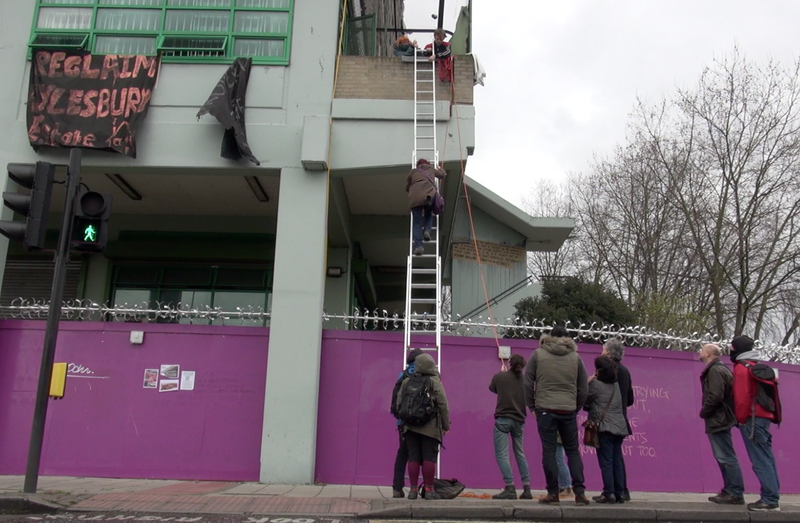 Between the campaigners and the Occupation, there has been a two month engagement with other locals (through door-knocking, petitioning, street stalls and other events) and there is a strong feeling from many people that they do not want to give up their flats to demolition and an uncertain future. In 2001 when 73% of those balloted on the estate said ‘No’ to stock transfer and demolition it was precisely because they ‘didn’t believe the new Housing Association would be able to keep its commitments on rents and service charges”. The Council likes to paint that ‘No’ vote as ancient history and irrelevant now but it was only four years after that ballot in 2005 that they decided, with no new ballot or consultation, against the wishes of the majority of residents and to go ahead with demolition and redevelopment. Overriding people’s wishes and concerns only four years after the ballot remains as relevant today as back then. We will see later on, the fears of higher rents and service charges were well founded. Creation Trust, funded by The Council and overseen by Councillors, so not really ‘independent’! 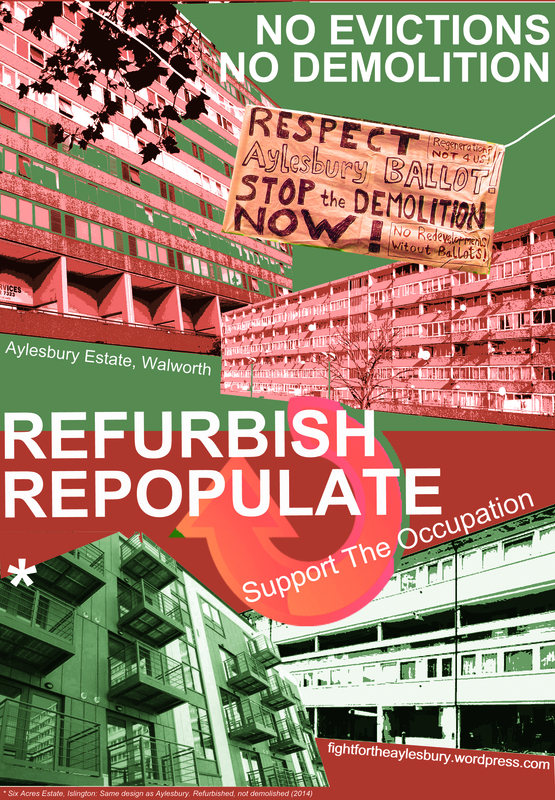 Despite the many publicities and promotions of the pro-regeneration Creation Trust who oversee public engagement and social programmes around the Aylesbury demolition and development, it is in no way certain that the remaining 2000 households desire the destruction of their community. 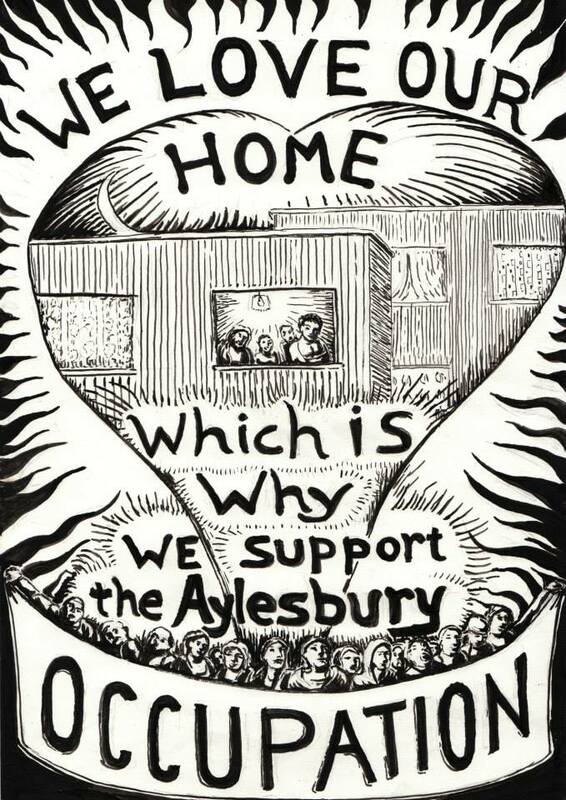 The Occupation and the campaign have been proving this week by week from all the troubled and angry conversations the are having with other Aylesbury residents. Creation Trust would do good to actually begin again and be honest that there is not a done and dusted mandate for demolition on the estate. “(Being) forced to make a lengthy detour, all the way over to the gate on Westmoreland Road, every time they leave their homes or come back in. If guests want to visit them, the security guards insist that the residents must come all the way to that one gate to fetch them. This had made it impossible for many elderly friends and relatives to visit at all, and has left at least one woman housebound. 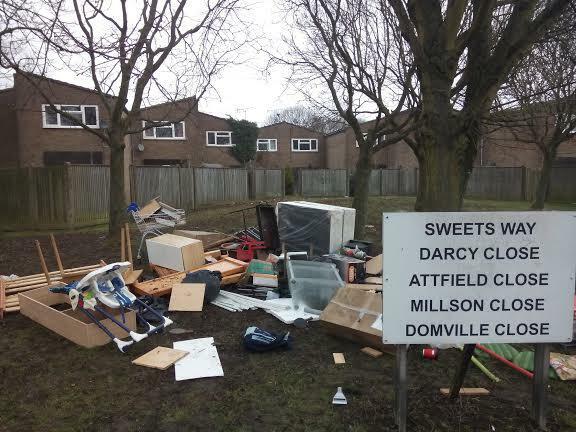 Whenever asked about the fencing/ security arrangements, the council trot out a line about how they did this because those residents asked them to. From our conversations with the residents, it’s clear that this is a lie. 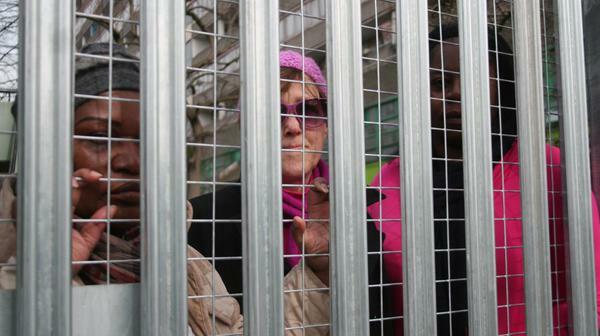 Some of them asked for doors to be fitted to the actual blocks they live in, with an entry-phone system to let their guests in, but they didn’t ask for this. They had no wish to deprive people from walking their dogs, or traveling across this corner of the estate, and hate the fact that they now live in what is effectively a big cage’. 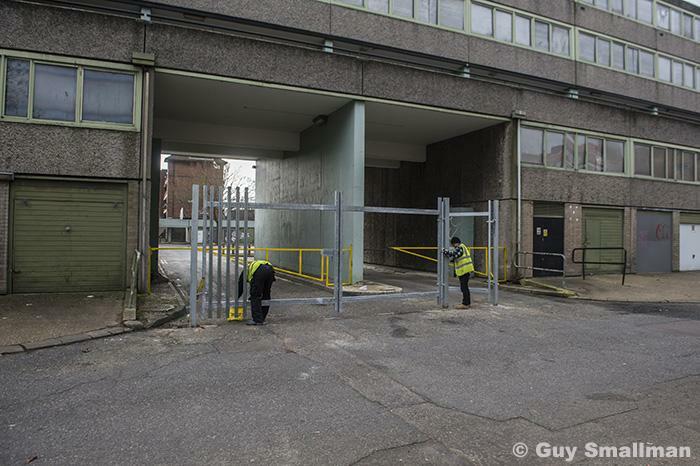 Ramping up this week has also been the security clampdown on anyone attempting to get to their home at the Occupation, to visit the Occupation and even stopping a prospective MP from canvassing residents inside the fenced in part of the estate. The Occupiers are reporting both the violent frogmarching out of the area of occupiers and supporters and theft by security guards of a laptop. 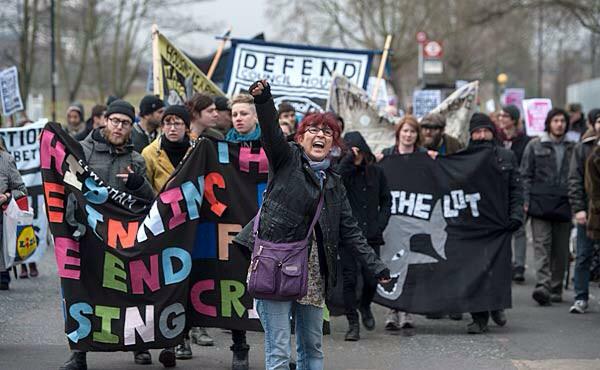 The Council is once again taking the Occupation to court this Thursday 2nd April. The Occupation is calling for a ‘solidarity with the residents demo‘ on that evening. All welcome! 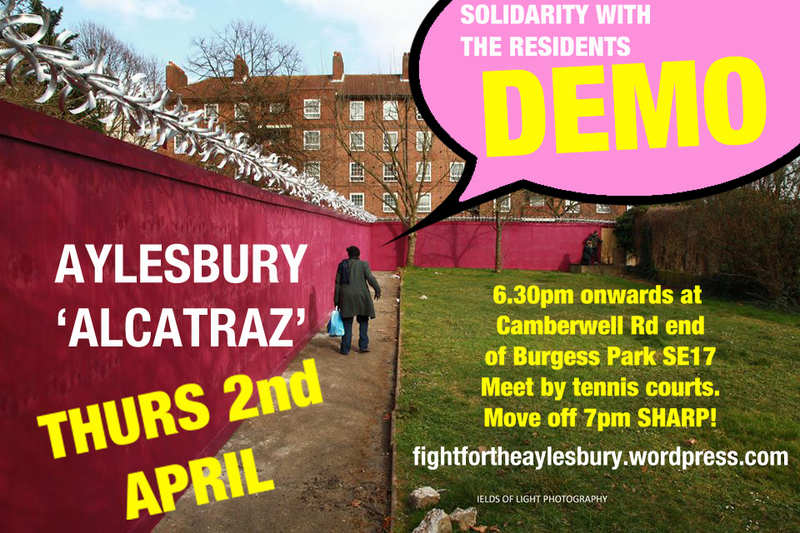 But the leaseholders fight is not just about gaining adequate compensation for the forced removal from their home but is about challenging the entire Aylesbury Estate regeneration itself. The struggle against CPO affects everyone locally as it seeks to argue that the granting of CPO and thus the green light for the scheme is not in the public interest. Their excellent detailed Statement of Case can be read here but its worth us summarising some of the main arguments just so more light is shone on the details of why the regeneration is another rip-off for local people. The legal question for CPO asks if there is a ‘compelling case in the public interest’ for regeneration? A CPO needs to be set within a clear strategic framework and in this case the over-arching GLA London Plan would be such a framework. The London Plan states that states that the loss of social housing “should be resisted unless the housing is replaced at existing or higher densities with at least equivalent floorspace.” The planning applications underlying the Order (14/AP/3843 / 14/AP/3844) will see the net loss of at least 1393 social rented homes; and if the Objectors’ concerns about the precise tenure mix are well founded, then this net loss could amount to 2,700 social rented homes. 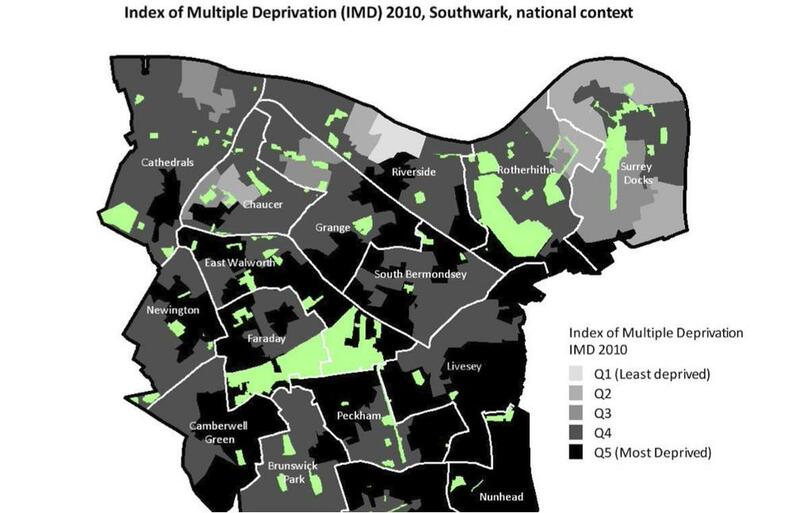 Such loss of social housing is not only in breach of the London Plan policy requirements but also of Southwark’s Aylesbury Area Action Plan (AAAP) on which the regeneration is based. Policy 3.3.1 of the AAAP envisages a total net loss of just 150 social rented units. Furthermore, policy 3.3 states clearly that 50% of all new homes should be affordable and that “of the affordable housing provided, 75% should be social rented”. However, it is unclear and yet to be clarified that NHHT will be providing its social rented housing at rents defined by income (as determined by the National Rent Regime regulatory framework) and not as a percentage up to 80% of local private rents as ‘affordable rent’ introduced in 2011. 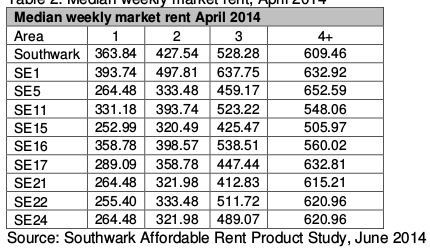 In the Aylesbury estate postcode (SE17), a study shows that in Dec 2014 a 1-bed social rented flat costs on average £97 per week, in contrast to the new ‘affordable rent’ at 80% market rent costing £239 per week. 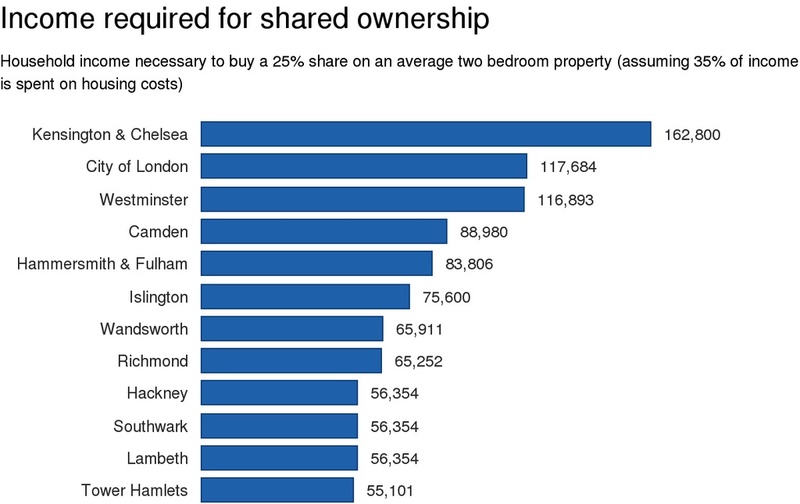 The study shows that the 80% affordable rents would require an annual household income of £41,600, which is well beyond the £14,300 median income of existing Aylesbury estate residents. The Statement of Case also contains many arguments about how the scheme is premised on breaches in the 1985 Housing Act re: failure to consult residents on the steamrolling through of the 2005 demolition plan and the subsequent failing of those residents re: the Human Rights Act 1998. 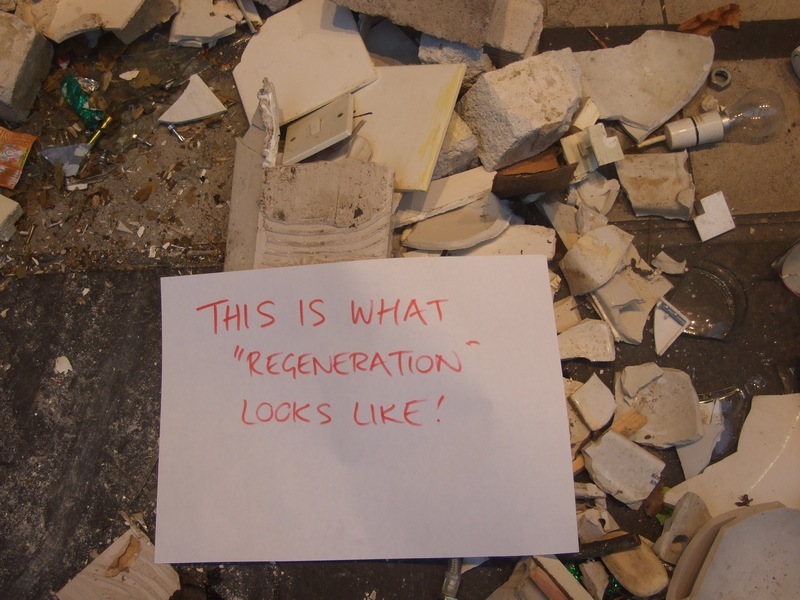 The regeneration scheme also breaches the Equalities Act 2010 by failing to assess the impact of demolition on 8 protected minority groups and this is a most pertinent question when 67% of the residents come from a minority ethnic group. 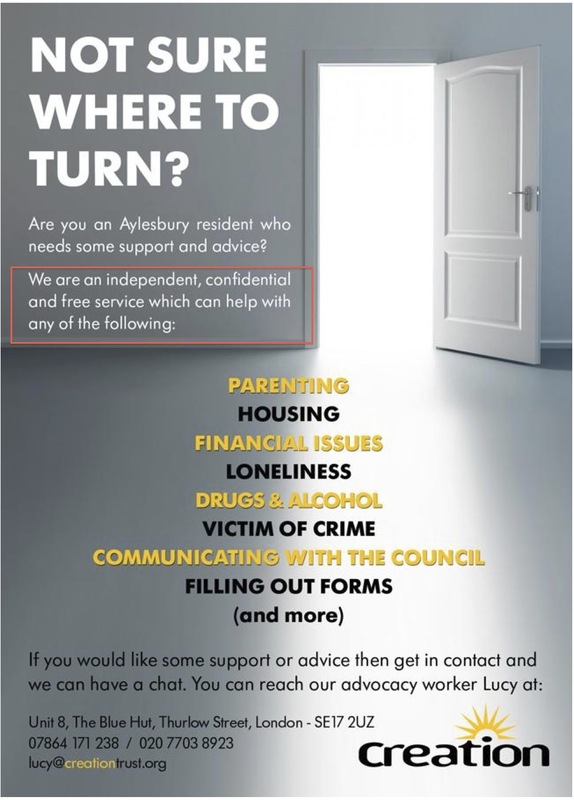 The Aylesbury New Deal for Communities (ANDC), the precursor to Creation Trust, had acknowledged in a report in 2003 that ‘There are specific Black & Minority Ethnic communities who are not represented and whom ANDC have little contact with. These are the Turkish, Somali, SE Asian, Bangladeshi and Latin communities, all of whom have a significant presence within the ANDC area. There is currently little being done to address the needs of these specific communities’. Later ANDC set up a committee dedicated to promoting BME group participation in the regeneration plans, the Aylesbury Black and Minority Ethnic Group (ABMEG). Yet when ABMEG wrote to the Government Office for London in 2003 complaining about the management of the ANDC, the ANDC responded by suspending all ABMEG board members, this move described by ABMEG as ‘an attempt to silence ABMEG’. Two years later Lord Ousely’s Report on Southwark, black and minority communities and regeneration determined that black traders were being driven out by the Council’s regeneration plans. Equality Impact Assessments on Aylesbury scheme have not been fully undertaken and when partially completed only seek to reassure that black and ethnic minority groups in the area will be okay as new homes will be available to rehouse them. Yet those very groups tend to be the most poor and vulnerable and can in no way be reassured that housing will be there when the questions around how cheap rents in the new flats will be has not been answered. 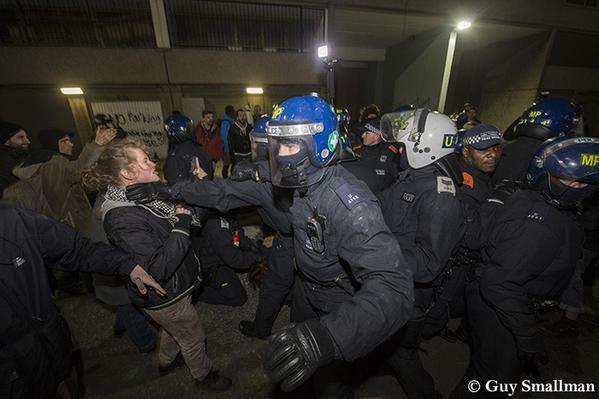 It’s been an amazing 2 months on the Aylesbury Estate. Once again local people, just like they were forced to on Heygate, have been setting the record straight over and against the ‘revitalising’ spin that the Council and Creation Trust ceaselessly promotes with a straight face. 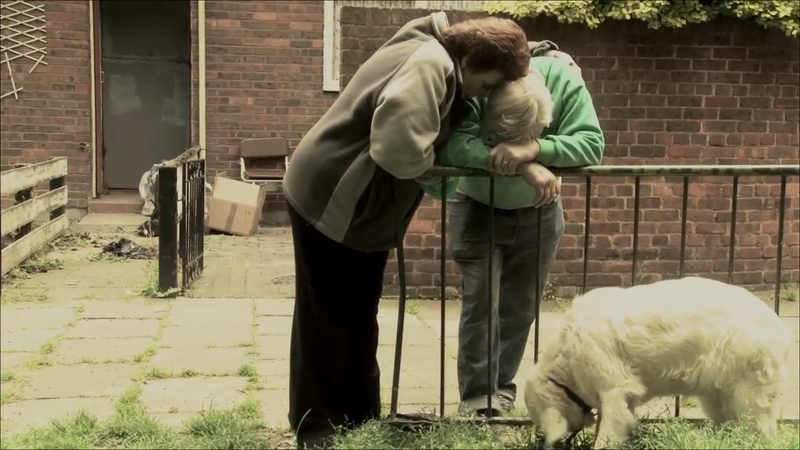 Lessons have been learned and lessons are continually being learnt by loads of other areas facing regeneration. 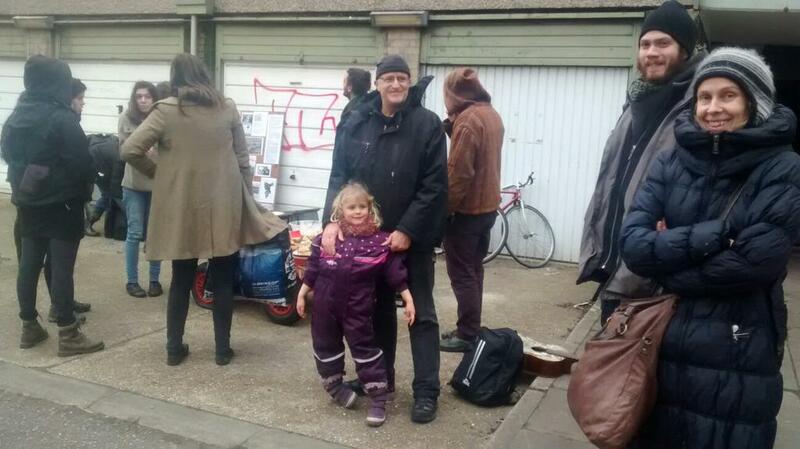 Tactics, ideas and strategies are being shared (legal, protest wise and also as direct action – occupation, taking the struggle to the Council, developers etc). Certainly nothing will be the same again. ‘We won’t go!’ is the message. Let’s keep hitting that home together.